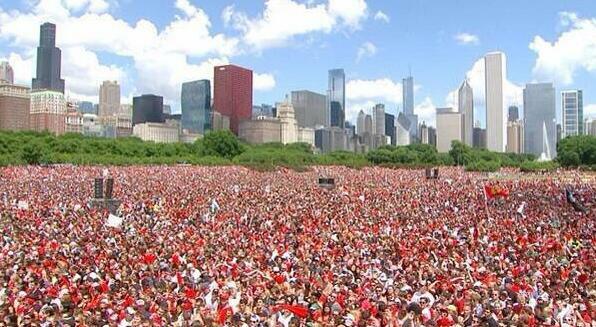 Is This a Real Photo of the Blackhawks Parade? I’m told it’s real… if so, holy crap. Nice work, Chicago. This entry was posted in Hockey and tagged blackhawks, blackhawks parade, chicago parade. Bookmark the permalink.